Fishing for beginners may seem to feel a bit overwhelming when thinking about getting started. There are so many things to consider as a fisherman - the equipment, the costs and expenses, when, where, and how to fish. Freshwater fishing continues to grow as one of the world's most popular outdoor activities. And rightfully so, because it's fun, easy and affordable. To help you realize that fishing for beginners can be as fun of an experience as it should be, we'll cover some simple, easy to understand, and basic fishing tips. You can easily get yourself started with a basic set-up, even if you're on a relatively low budget. To start out, you'll obviously need a fishing rod, reel and line. You'll also need a few weights, hooks, and some bait. Or you might want to just use some lures instead of the traditional bait on a hook. You can find very inexpensive fishing rod-and-reel combos that are already spooled with fishing line at various places that sell fishing tackle. Spinning reels are ideal and just about the easiest to learn to use. It depends on the type of fish and where you'll be fishing to know exactly what type of a set-up that you will need. It's a good idea to ask your local fishermen or a bait shop about the fishery you intend to go to. Don't be afraid to ask questions. The angling community is usually quite friendly, informative and very helpful as they know all too well that fishing for beginners is much like learning how to ride a bike. Take a camera with you to snap some photos of the fish, family, friends, and even the scenery. Don't forget to share your fishing pictures with the rest of us. 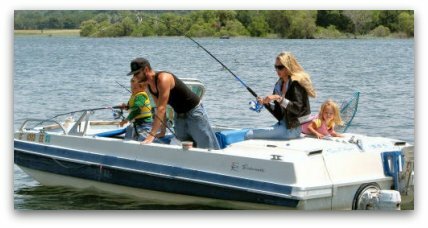 Before you even hit the water, you will need a fishing license. The cost of a fishing license varies for each state. You can contact your local fish and game department to find out how much a fishing license will be for you. You can also purchase a license from a bait shop, a marina, online, some sporting goods stores, or other shopping retailers that participate in selling fishing licenses. It's important to know and understand your local fishing regulations and rules for the type of fishing that you will be doing. You'll need to know and understand the number of fishing poles that you are allowed to use, how many hooks on each line, the types of hooks, size and limits of the fish permitted to keep, the seasons that you are allowed to fish for some species, and so forth. All of these restrictions and fees play a very important role in where our future rests within the hands of our children and generations to come. Every little thing that we do today becomes a huge difference with fishing conservation. Again, check with your local fish and game department. 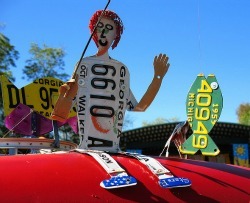 The rules and laws are constantly updated and change every year. When in doubt, just check. Fishing safety is not only vital for yourself and your well being, but it's just as important for other fishermen, women and children around you and in the near vicinity. Safety equipment is important to have, like a first aid kit, hook remover kit, a lighter, and a flashlight. 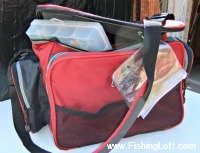 Aside from obviously needing a rod and reel, other things that you will eventually need would be a fishing tackle box, needle-nose pliers, a net, and perhaps an ice chest. A few items that that will come in handy would include a map, bobbers, sliders, snap swivels, leaders, and a stringer. Check out our fishing stores to begin shopping now. When fishing in the summer time, it is a good idea to use sunscreen lotion. Reapply it every couple of hours as needed. Lip balm will help protect your lips from sun, and from chapping when it's windy. A nice pair of polarized fishing sunglasses will not only block the UV rays from the sun and the suns' glare on the water, but they help in the aide to see a little better into the water to locate fish. And naturally, a hat will shade your eyes and head as well. Stay hydrated by drinking plenty of liquids with electrolytes. Drinking water is best. Dress warm in the winter. It is best to wear more clothes that are thin, layered on top of each other, rather than fewer, that are thicker. What it comes down to is that you just want to catch fish, right? Of course. But the pros don't even catch fish every time that they hit the water. However, basic fishing techniques are used to increase the chances that are proven to produce fish. 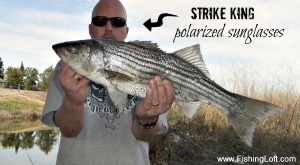 That's for all anglers, not just for fishing for beginners. It's easy to fall into the trap of buying into "what's new" or "what's hot." We have definitely bought into our fair shares' worth of the latest and "greatest" new products out on the market that guarantee to catch fish. We've spent thousands of dollars on new fishing equipment, tackle and many other products. Granted, as technology evolves, there are products that are hard to pass up. Interesting Fun Fishing Fact: About 90% of the tackle on the market is meant to attract the fisherman, not the fish. One of the most consistent methods to catch fish is with a worm - live worms or soft plastic worms. But, are worms the best baits to use for catching fish? Another great way to catch fish, especially in overly fished areas, is to fish at night. I have found quite often that many bigger sized fish don't seem to bite as much during the day. Bigger fish are much wiser and are more cautious with their approach to surviving on a daily basis. Fishing for beginners and experts is productive when sticking with the basics. As you progress and learn, try new things to see what works and what doesn't. Experimenting is all part of fishing. There will be times when nothing seems to work. That's when you remind yourself to revert back to your fishing basics, and even bring out your go-to set up. There are certain times that fish will hit just about anything. But, what are you going to do when the bite is off? Most of us have our go-to set up to revert to when the going gets tough. 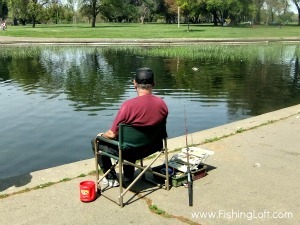 Most great anglers routinely use simple basic techniques of fishing to get fish to bite when those tough times arise while out on the water. Feel free to navigate around this site for more freshwater fishing tips and techniques geared toward freshwater fishing for beginners. Consider checking this out if you are interested in knowing how to effectively spend your time pond fishing. And just a little reminder that these tips aren't only geared toward fishing for beginners, because all anglers alike routinely use these techniques everyday for great success out on the water, including your favorite famous celebrities fishing. Choosing the best fishing kayak. Fishing - What does it mean to you? Fishing Terms and Definitions - Ever wondered what that crazy sounding word or phrase means? Sometimes it seems like fishermen have their own language, right? Or maybe you are just stumped or curious to know exactly the meaning of a certain phrase that has caught your eye. Well, use our fishing glossary to look it up. Are you a freshwater fishing fanatic? Me too! Find out about signs and signals of being addicted to angling. Even learn about how you can benefit from doing what you enjoy doing as a hobby in your spare time.